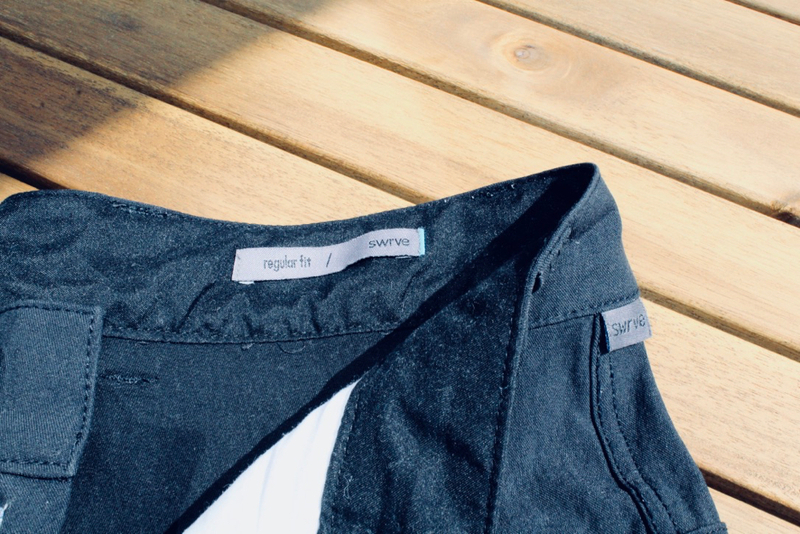 I have become a huge fan of the casual wear from Swrve. 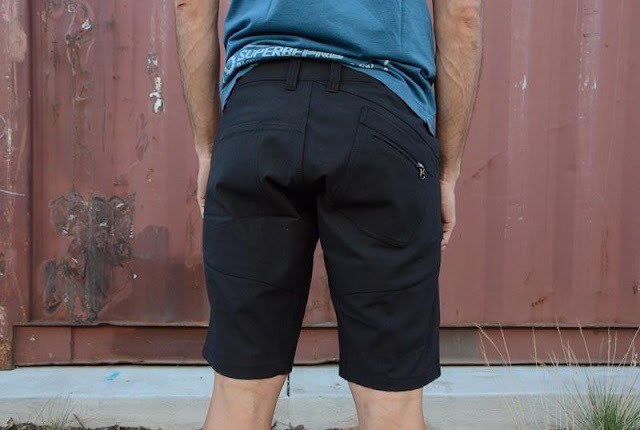 The American brand produces kit that excels in everyday use, and is made subtly bike-specific without looking like you have just rolled off the pump track. 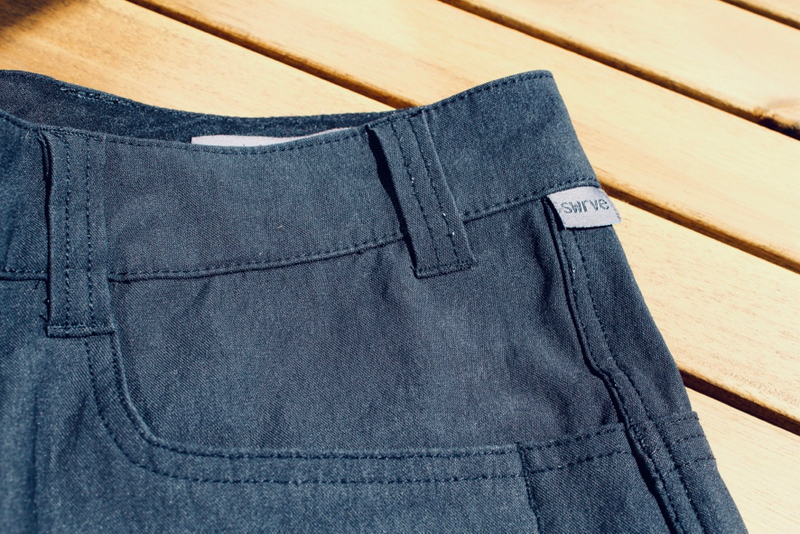 Last year I reviewed the Swrve Durable Cotton Cigarette Cut Shorts, and they fast became my go-to choice; with their stretch fabric, seamless gusseted crotch, and clever pocketing all providing practicality and comfort. 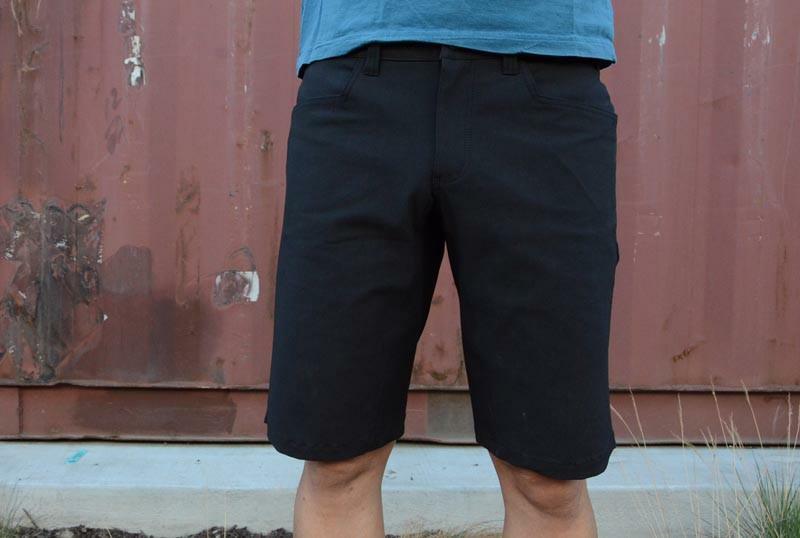 This year I decided to smarten things up a little, opting for the new Swrve Durable Cotton Regular Cut Shorts in the sophisticated black colour tone. 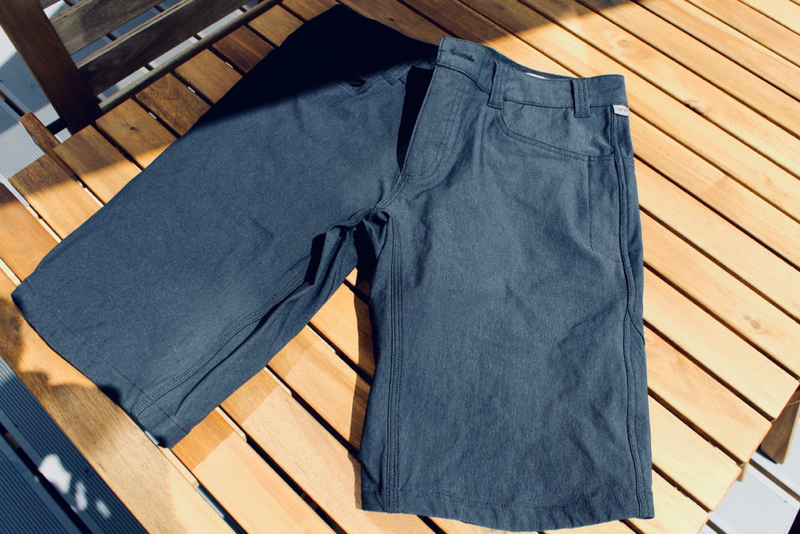 Much like the Cigarette Cut shorts, these use the same super durable DWR coated water-resistant stretch fabric. 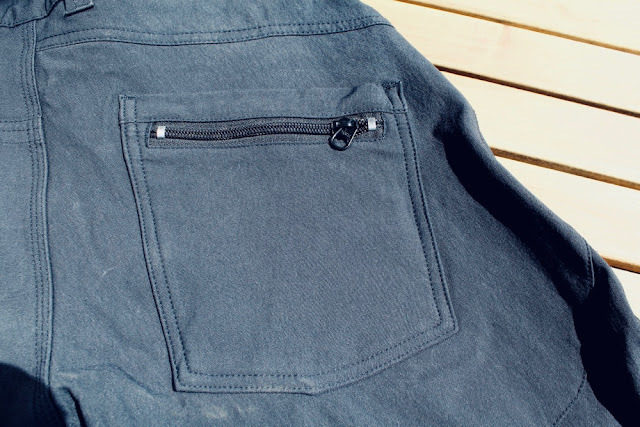 They also have many of the neat and useful features like the front pen pockets, reinforced rear lock pocket and a no-stretch waistband. The evolution in the Durable Cotton Regular Cut (aside from the longer leg cut), is that you get a zippered angled rear pocket for valuables, and all of the seams are triple stitched for added strength. Whether you are attending a meeting, or riding around town, the Swrve Regular Cut Durable Cotton Shorts are smart, practical, and superbly made. 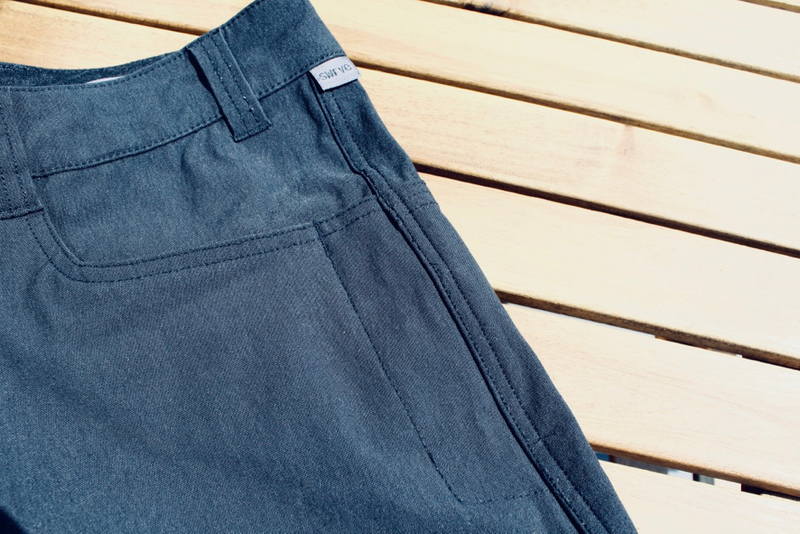 This is a brand well worth checking out.